This exquisite and refined home built by Waterford Homes is a showstopper. Set on a private nearly half acre lot, nestled among magnificent lush grounds in beautiful Lake Forest. Immaculately maintained featuring high tray ceilings, custom shelving, recessed lighting, wood burning fireplace, beautiful ceramic tile and hardwood floors makes this special home the perfect retreat for a discerning homeowner. The open gourmet kitchen is a chefâs delight with granite countertops, solid wood cabinets, 5 burner cooktop on island and a large pantry. The spacious family room has french doors that open up to a magnificent pool and outdoor gourmet summer kitchen. 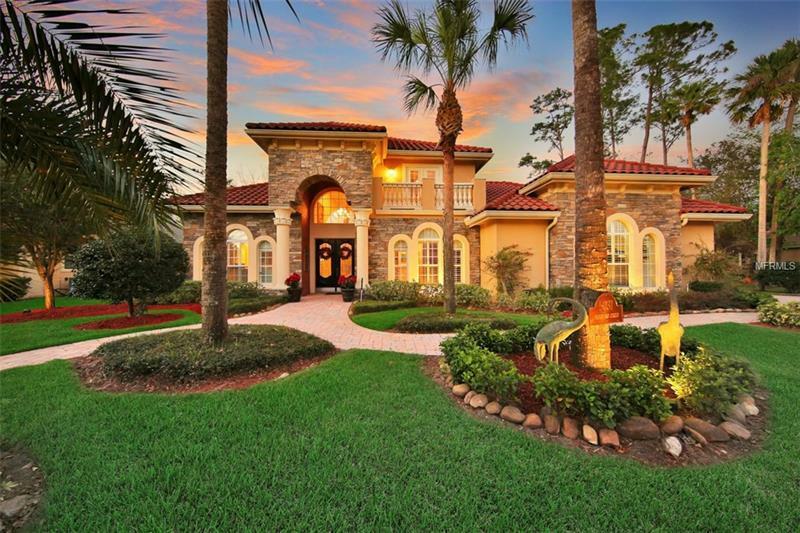 The homeowners created a surrounding tropical oasis that is just absolutely breathtaking, with landscaping that add character, beauty and privacy to this beautiful estate. This home is a must see! And truly a masterpiece. This property may be under audio and visual surveillance. Amenities Additional Fees: Please verify all information/neighborhood restrictions with HOA. Pet Restrictions: Please verify all information/neighborhood restrictions with HOA.